Life is full of trials that can make or break us. In the event of severe financial distress, you may be in need of filing for bankruptcy. While laws and legislation can vary greatly depending on your location, by considering these steps you can be on your way to a clean slate. 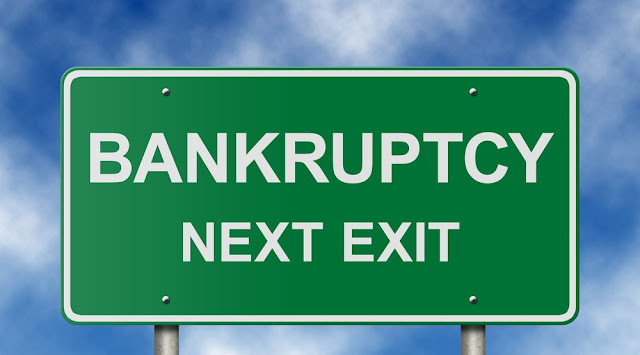 The first question you should ask yourself is whether or not you need to file for bankruptcy. Make sure you consider all of your options. It is a big step to take, and only to be used as a last resort. Talk with your creditors and investigate possible loans and alternate repayment options. Filing for bankruptcy is complex. Hiring an attorney to handle your affairs will ensure the process goes smoothly, with no important details omitted. It is not mandatory to use an attorney, and documents are available for a cost. However, proceedings can get tricky, and you may wish you had sought professional help. Judgements against you resulting from your own negligence, etc. Loans, etc., obtained through fraudulent means. How will others be affected by my bankruptcy? No one goes through this life alone, so it can be a very real problem for those close to you when you have been determined ‘bankrupt’. Co-signers on loans will remain ‘on the hook’, now required to pay the entire sum. Negative stigma and reasons for bankruptcy (i.e. fraud) can impact your future earning capabilities. This can impact your child/ren you may be still financially responsible for, as child support will not be cancelled if found to be bankrupt. Chapter Seven - Individuals and businesses. Property may be sold-off in order to repay creditors. This is limited to lower-income applicants. Chapter Thirteen - If you can show that you are still earning money and will continue to do so, an arrangement can be made to pay your creditors back in payments. Chapters Nine, Eleven, and Twelve, relate to municipalities and businesses, all with varying criteria and solutions. As with all actions, there are consequences to being deemed bankrupt. Credit ratings will be affected, your credit score may drop significantly, and the decision will remain on your report between seven and ten years. To ensure this does not happen again, consider what led you to this road. Consult with a financial planner and work to repair damage done in your personal life, and financial aspects. Hopefully by reading these steps you have learned a bit about filing for bankruptcy. Keep in mind that legislation varies by location and laws can change.